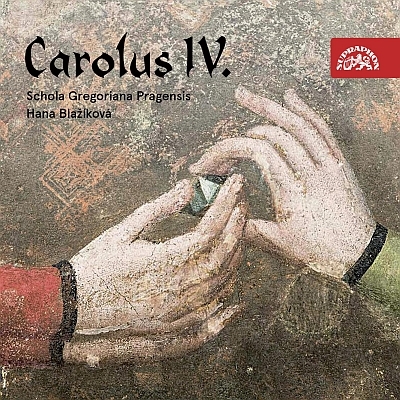 Music in the era of Charles IV. During the reign of Charles IV the Czech Lands experienced a period of unprecedented cultural flowering. An astonishing wealth of art and architecture originated while the region was under Charles’s rule. An equally important although less ‘palpable’ was the blossoming in the field of music. During Charles’s reign St. Vitus Cathedral in Prague developed into the most prestigious centre of spiritual life in the country. The ceremonies held there were becoming increasingly magnificent and embraced a number of “modern” theatrical elements, exploring the architectural layout of the church. Besides monodic liturgical chant, other kinds of music, like polyphony and secular music, were gaining more and more importance. One of the sources of new impulses for these developments was no doubt the Prague university. This project attempts to illustrate the “multi-layered” quality of music in the period and offers a colourful mosaic of repertoires which are closely related to the person of Charles IV or to his rule. Carolus IV. on YouTube - https://youtu.be/LQ5Nmfw3lLQ.